Wait no more, it’s finally here! After a long and painful wait, Netflix has finally eased our tortures and released the trailer of Stranger Things’ 3rd season. January 1st 2019, Stranger Thing’s official Twitter page released an official poster. 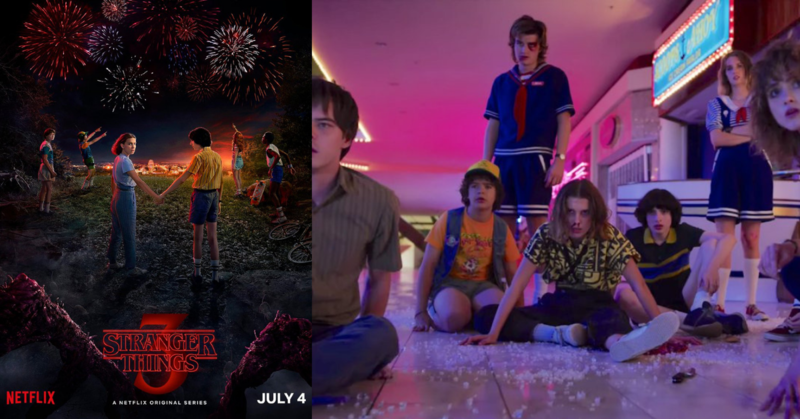 Captioned “July 4”, we see Eleven and Mike holding hands while Eleven and Will bore their gaze towards us. While Mike fixates his eyes on Eleven, and the rest enjoy the fireworks. Producer said this season’s time-frame will be a continuation of the previous season’s conclusion, as such, it will be set during the summer of 1985.